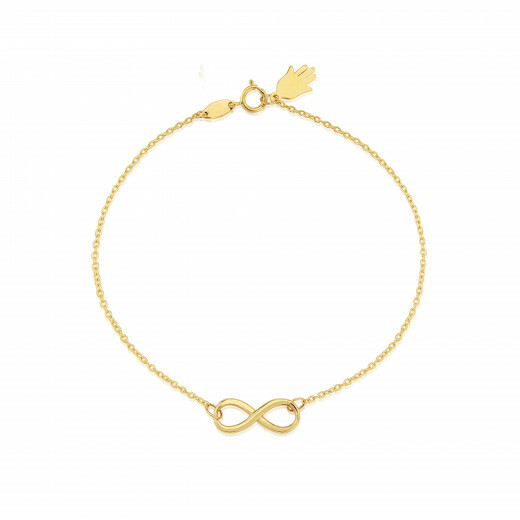 A beautiful Bracelet on a fine chain with an intergral Yellow Gold Infinity symbol. What better way to show your favourite person how much they are loved than with this meaningful and precious piece of fine jewellery. Delicate, simple and perfect for every day. 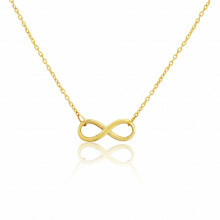 Wear alone or pair with the matching Infinity Necklace.